It was 8.00 am on Sunday morning, hesitantly, reversing my car out of the porch, mumbling kisses to the kids, I rushed to the office. 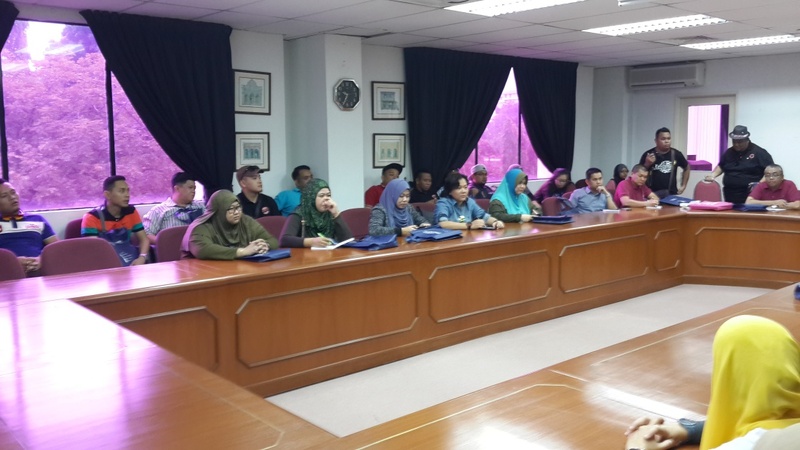 That morning, November 29th, The University of Malaya Library (UML) had accepted a working visit request from Pustaka Miri, a northern branch of Pustaka Negeri Sarawak, a state library located in the East Malaysia. 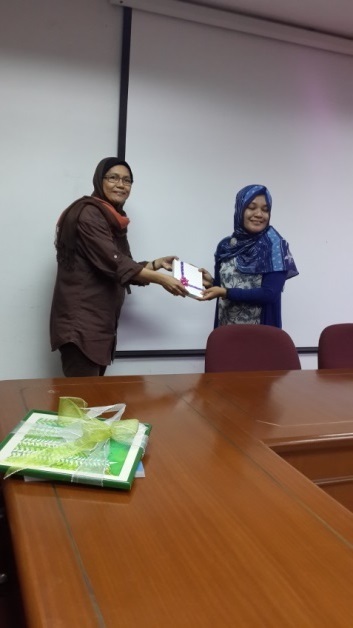 The thirty one team members were headed by Hajah Salina Haji Zawawi, the Pustaka Miri Regional Manager. 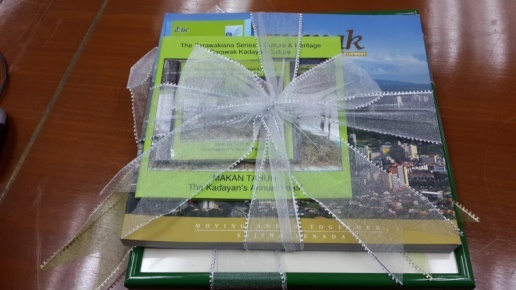 It was the last day of their three-days visit, the first two been visits to municipal libraries in Klang Valley, one of which was at Pandan Jaya. Thus, it was their only visit to an academic library, and they had chosen UML. 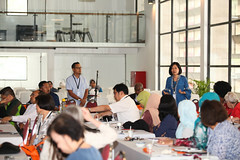 The team was first, led to the Basement for a quick tea and sumptuous ‘kueh’ – local delicacies. Our guests were mesmerized with the ‘kole kacang’. Next, off to Bilik Pendita for a short briefing on the library’s vision, missions, values, goals and objectives, library networks, collection, services and facilities by the Deputy Chief Librarian (Human Resource), Miss Pauziaah Mohamad. 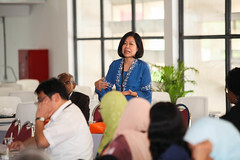 She was accompanied by Mr Mahbob Yusof, the acting Senior Deputy Chief Librarian, Mrs Koh Ai Peng, acting Deputy Chief Librarian (Development), Miss Sutarmi Kasimun, Deputy Chief Librarian (Collection Development), me, and Mrs Siti Juriyah Abdul Khalid and Amir Hamzah Alias, both Senior Librarians. 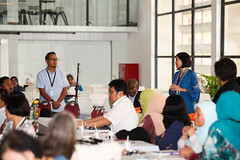 A few questions from the team were answered and amongth asked were whether Malaysiana titles can be loaned via the ILL program, and on the use of database by non-members. The briefing ended with the exchange of souvenirs from both parties. Not only gifts were exchanged, but new comradery was built and hopefully this true spirit of friendship will benefit both institutions in fullfilling their support to respective communities.